This time, we head down south and feature strong, successful and fabulous women from Mindanao. Born and raised in Davao, Marga Nograles and Tisha Dominguez, are the women behind the posh MARTISH boutique, a lifestyle store that curates the best in fashion, beauty, and home items catering to the upper crust in Davao City. Both wives to young politicians (Davao Cong. Karlo Nograles and Sarangani Gov. 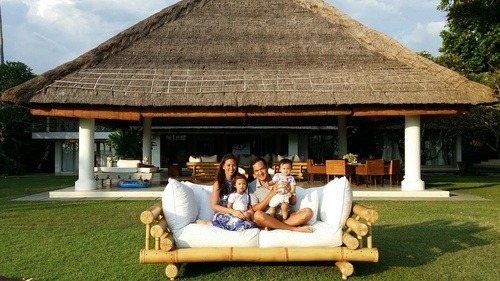 Miguel Dominguez), they share with us how they juggle their career and family life, their beauty regimen, and the perks of provincial living. 1. You are both mom-preneurs. How do you juggle your time and what role excites you the most? Marga: I thank the Lord everyday for the gift of my family and my work. I am fortunate enough to have a job that allows me my quality time with my husband and 3 children. All roles excite me. As a wife, I am always proud of my husband and his passion to make a difference. As a mother, I cherish everyday with my children. Watching them grow, seeing them learn and simply just looking at them, makes me believe that I must have done something right. As an entrepreneur, I truly enjoy making things happen. I think it is the juggling all these roles that thrills me the most. Each day is exciting. I am never bored. Tisha: Being a wife and a mother is fairly new to me, 3.5 years into marriage with 2 daughters ages 2 and 1. Nothing excites me more than the milestones we reach as family. My schedule revolves around them. They fuel my determination to give my best at everything I do. 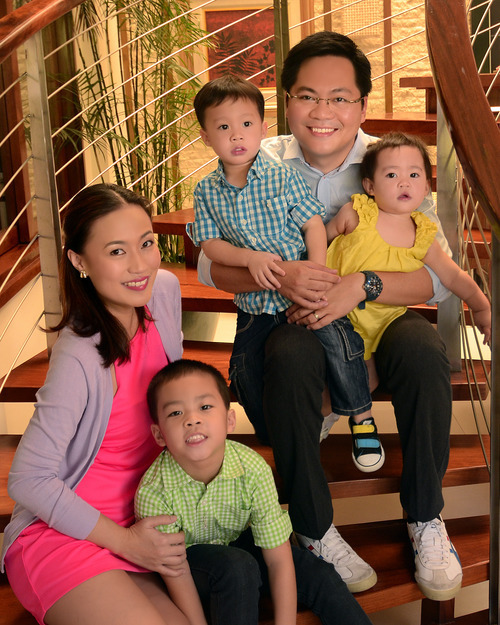 Marga with husband Karlo and kids Mateo, Massimo and Nikka. 2. Tell us about your collaboration in Davao, Martish Boutique. How did it start and what makes it different from other clothing/lifestyle stores? Marga & Tisha: MARTISH started simply because we wanted easy access to all the brands we love. 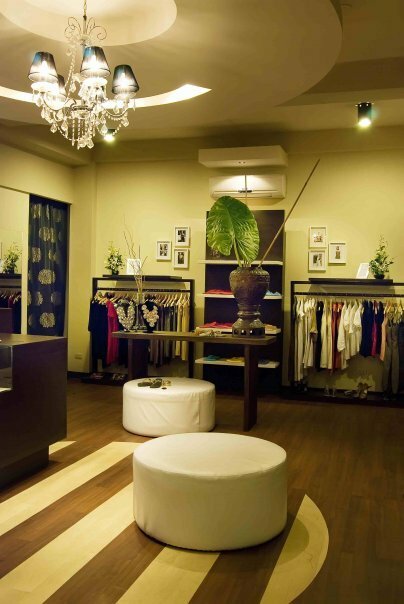 It was a boutique that housed our favorite clothing brands, make up and accessories. I think what made it stand out from other lifestyle stores was that it was a hole in the wall boutique in the middle of nowhere. It was a little secret that we shared only with our friends and friends of friends. We are also very close to our suppliers so they prioritized us, gave us the latest styles and best discounts. We had the finest of Nicole Whisenhunt, Joyce Makitalo, the Paul Smith sale and Make Up Forever – to name a few. As the years passed, we evolved and so did MARTISH. It has now become a home for our current domestic pursuits in life, which include Tisha’s passion for natural food production, Backyard Farms, my love for make-up and anything bespoke, and our combined interests in home items. We are cousins but grew up like sisters. Our habit of sharing our different interests and thoughts with each other has helped us transform our ideas into a thriving business model. We are very excited to open our new MARTISH Lifestyle and Beauty store in September. Marga: I will go for comfort over fashion always. My clothes are always practical but fun. Dressing up for me should always be exciting. 4. What does your daily regimen look like? Marga: I am always in a rush, so I try to keep it as simple as possible. I make sure to wash and moisturize (day and night). During the day, I put on sunscreen. For make up I use a powder foundation, Eye of Horus Goddess Pencil (Love! Serpentine, Nubian Brown and Teal Malachite are my favorites), blush, my favorite Ofra Amethyst and #20 lipstick and then draw on my non-existent eyebrows. Tisha: Healthy diet and exercise are my most important daily beauty regimen. It keeps me young and fresh! Cleansing and moisturizing come next. 5. What is your one beauty indulgence? Marga: My manicures and pedicures! Well-groomed and painted nails make me happy. 6. What is the most coveted conversation piece you’ve acquired? Marga: I might have a few but the winner now is my Rimowa-looking iphone case. It was a gift from my friend Paula. Everyone notices it and I think maybe 5 people have asked for it already. Tisha: Difficult question. I’ve always been a very practical shopper – mostly basic items, like a good pair of jeans and a comfortable pair of shoes. 7. Best beauty secret that you learned from your mom? Marga: Keep things simple, hydrate and fix your eyebrows! Tisha: Must use facial cleanser before calling it a day! 8. Best beauty discovery from abroad? Marga: During my recent trip to New York, I discovered ORLANE skincare. I am very sensitive and it takes me forever to find skincare that I can use. ORLANE works for me so I use their moisturizer, scrub and essence. Tisha: Hydrating and moisturizing is most important when traveling. 9. What’s the best thing about living in Davao (for Marga), Sarangani (for Tisha)? Marga: I love Davao. I think it is the best place to raise our young children. Since everything here is near and traffic is bearable, I am able to do so many things in one day. I bring my kids to school, tutor and have lunch with them and still have a full day’s office work. I can also join my husband Karlo in the barangay once in a while, and have time for Zumba and Yoga too! Tisha: Our decision to live in Sarangani was made based on the environment where we felt it was best to raise our children in. Open space, clean environment, and where our work allows us to be around our children growing up. The best thing about living here is that we are able to build countless positive memories in the lives of our children. There’s always enough time for everything – our days seem much longer here! We hope that the simplicities of provincial life will keep our children grounded. 10. One word that best describes you.